“[A] narrative so brilliant, so fizzing with lucidity and comedy and horror and hard-nosed empathy…The real parent of 2008’s A Fraction of the Whole and this new work is Saul Bellow…There is a superfluity of smarts on display. Characters back talk each other like Chinese table tennis champions; aperçus fly like sparks from the angle-grinder of the authorial imagination. Still, there is a feeling edge to all this dazzle, a sense that the torrential flow of wit is a cover for fear of the void. The hollowest babble is better than the endless silence that will follow when death presses mute…. 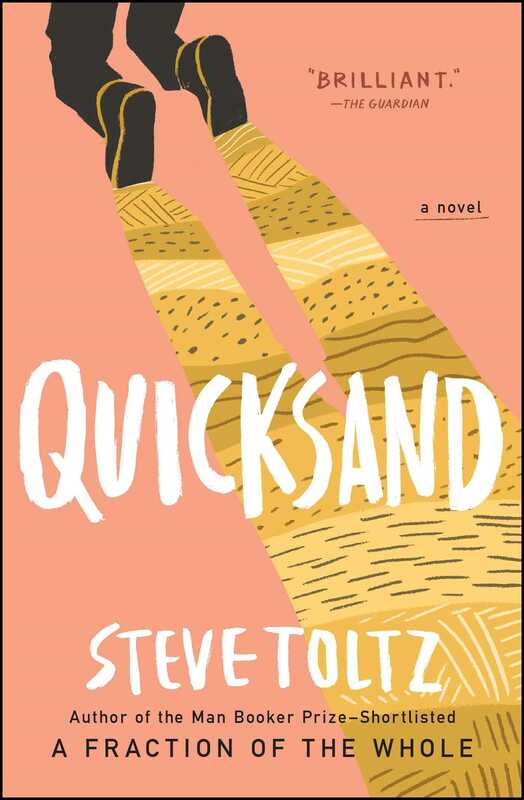 "Steve Toltz's Quicksand--narrated by Aldo and Liam, two epic Aussie screw-ups and lifelong best friends—is one of the smartest, funniest, angriest novels I have ever read. But it's also a surprisingly touching meditation on friendship and family, on art and God, on law-breaking and law enforcement…A brilliant piece of fiction, from a novelist who so clearly sees the outsized pleasures and terrors of our troubled time. "